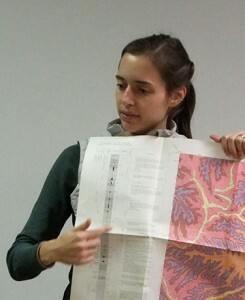 A brief primer on geologic maps: What they are, how they’re made, and how they’re used. 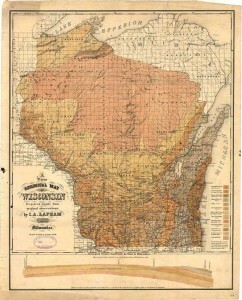 An overview of changes in state bedrock maps between 1869 and today. 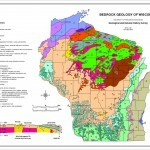 We’ve described over 100 of Wisconsin’s outcrops. 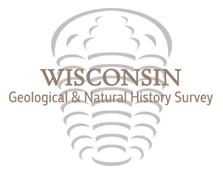 Find and read about them using our map. 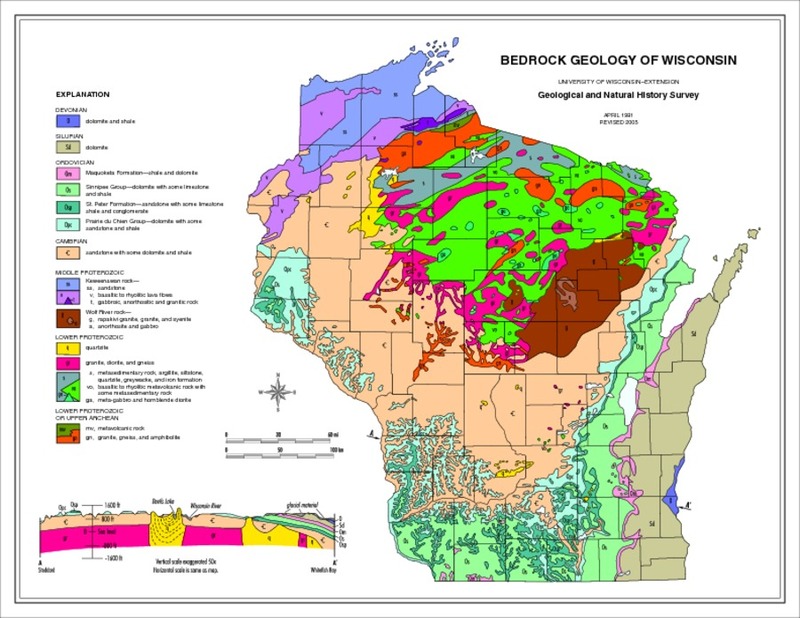 An introduction to the physical properties of Wisconsin’s bedrock aquifers and aquitards. 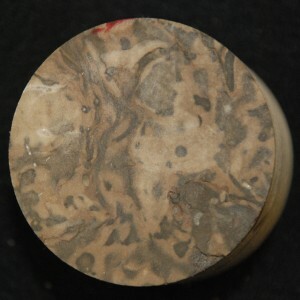 Includes porosity and density data for dolomite, shale, and sandstone. 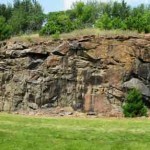 Check out our collection of posters, publications, maps, and rock kits that were designed for use in classrooms.